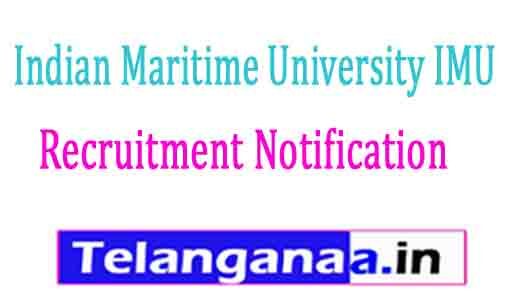 Indian Maritime University invites application for the post of 31 Assistant Registrar, Private Secretary & Assistant on Direct & Deputation basis. Apply before 08 March 2017. 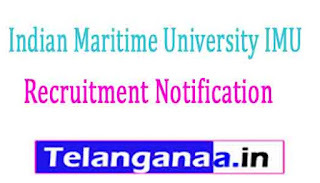 Assistant Registrar - A Master’s Degree in Commerce with at least 55% marks or its equivalent grade or a Bachelor’s Degree with CA/ICWA; the degree should be from a recognized University. Assistant - A Bachelor’s Degree from a recognized University with a minimum aggregate of 50% marks or its equivalent grade in Commerce or Mathematics or Statistics.. Selection Process - Selection will be made on Online Test & Personal Interview. For Private Secretary & Assistant - Rs.1200/- for other & Rs.800/- for SC/ST/PwD candidates. How to Apply - Interested candidates may apply online through the website http://www.imu.edu.in on or before 08.03.2017.